Apple revealed lots of new devices during its annual event that takes place in September, but Watch Series 4 was the one that stole the show. The new Watch Series 4 is considered to be the best smartwatch available on the market and it ships with a plethora of features. Out of all the features that the smartwatch offers, the most important one has to be the built-in electrocardiogram (ECG). Watch Series 4 is the first wearable device to ship with an accurate ECG feature that is certified by the FDA. The ECG of Watch Series 4 can be used to monitor the user’s heart rate and detect any abnormalities. 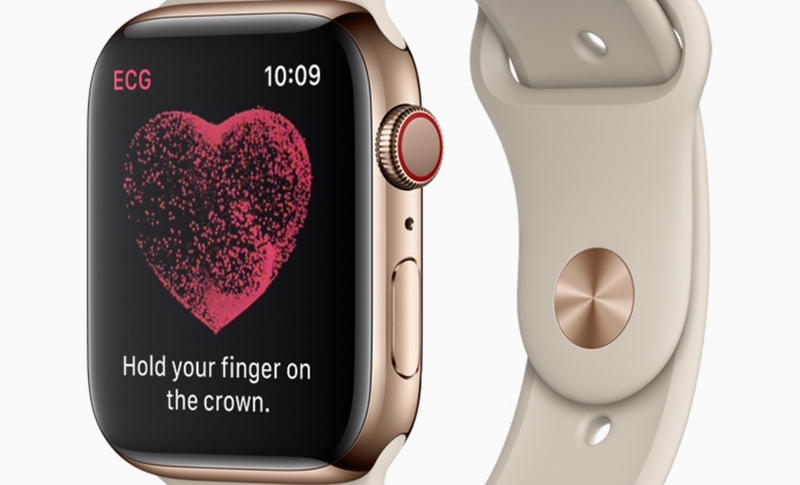 The data provided by the watch’s feature is so accurate that Apple fans can even take it to their doctors. Luckily, the new feature is now rolling out OTA (over the air) to all Apple Watches, including the original Series 1. The ECG feature used to be exclusive to Watch Series 4, but it’s now being rolled out to all other Watch Series models. This is great news for Apple fans, but we need to mention that the feature will not be as accurate on older devices such as Watch Series 1. Therefore, the FDA advises all Apple users that the new ECG feature should be used for information purposes only. Not just that, but the FDA also stated that the feature “should not be used by people under 22 years old”. One of the most interesting things about Apple’s Watch Series 4 is that medical experts have determined that people who buy this type of smartwatch will visit the doctor more often than usual. Nonetheless, the last thing we should note about the ECG feature is that it’s exclusive to the US.